Naval Air Station Sunnyvale, also know as Moffett Field, now NASA Ames Research Center, was established as a base for Lighter-Than-Air (LTA) rigid airships in 1931, with Hanger One erected specifically to house one enormous airship, truly the size of a battleship. The story of Moffett Field’s creation is inextricably linked to airships, yet those machines only operated for a short while before the Navy abandoned the entire concept of rigid airships. However, the property has lived on with a variety of purposes – at different times the base has housed the Navy, Army Air Corps, National Advisory Council for Aeronautics, NASA, and the Air National Guard. Its geographical advantages stem from its protected inland position, with the incessant San Francisco Bay fog breaking upon the Coast Range Mountains that separate the base from the sea. Nevertheless, the Pacific Ocean is just a short flight away and Moffett Field’s operational aircraft have nearly always been primarily used for maritime reconnaissance. After many centuries of Native American inhabitation, the New Spanish government established the Mission Santa Clara de Asis in 1777, near Mountain View. The Spanish colonization of the San Francisco Bay Area continued through the creation of the Alta California territory in 1804, and then during the protracted Mexican War of Independence that began shortly after. In 1844 the Mexican government of Alta California granted the Ohlone rancher Lupe Ynigo the 1700 acres of land that became Naval Air Station Sunnyvale. This was one of a few instances where the Mexican government offered a Native American a land grant, and Ynigo’s estate controlled his ranch until 1930, when the Navy purchased the land. The Navy unearthed remnants from Rancho de Ynigo and from the Ohlone people that predated him while the base was under construction, and donated the artifacts to the Stanford Collection. The Navy’s purchase of Rancho de Ynigo came after more than a decade of American interest in LTA airships, and represents the peak moment of investment in that technology. During the First World War German Zeppelins bombed the city of London from a high altitude, where anti-aircraft artillery could not reach. Although eventually the combination of English searchlights, anti-aircraft guns, and high altitude interceptor airplanes proved capable of warding off the enormous airships, the capabilities of the German LTAs inspired the United Kingdom and the United States to incorporate them into their post-war inventories. In the UK, construction of maritime reconnaissance LTAs to patrol the English Channel began during the final year of the war, resulting in the world’s largest airship at the time, R38. 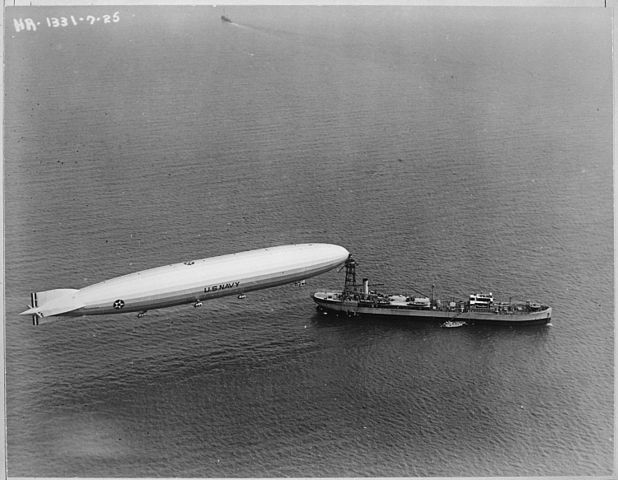 The United States negotiated the purchase of this airship, which would have entered the US Navy as ZR-2. However, R38 crashed into the sea near Hull on August 23rd, 1921, killing 44 of the 49 souls aboard, both British and American crewmen. The Treaty of Versailles forbade Germany from continuing to operate LTAs, and the Americans hoped to receive several surviving examples at war’s end, but they were scuttled by German crews. Clearly the United States needed to built the airships themselves. They learned a great deal about the technology from a disabled Zeppelin, L-49, that the Americans carefully coaxed to the ground in France during the final year of the war. Goodyear of Akron, Ohio, studied these techniques and eventually collaborated with the German Zeppelin company to construct the first American LTA, U.S.S. Shenandoah, commissioned by the US Navy in 1923 as ZR-1. Shenandoah was constructed with the same design principles as the German Zeppelins, with its rigid metal structure containing individual gas cells, but the contents of these bladders began a trend unique to the Americans. Shenandoah’s tanks were filled with helium, a very rare element, deemed safer than the standard, but highly flammable, hydrogen. The United States held by far the world’s largest reserve of helium, and the element was so rare that filling the hull of the Shenandoah airship used the majority of the world’s supply! The Navy quickly integrated Shenandoah into the fleet, and the massive LTA participated in the major annual war game, known as “Fleet Problem II, III, and IV”, in the Caribbean. ZR-1 performed its duties admirably in the “Scouting Fleet”, providing reconnaissance to the ships below. After returning to its base in Akron, Ohio, Shenandoah undertook an extensive cross-country journey, providing most Americans their first opportunity to view this new class of vast, floating airship. After a short but significant life, on September 3rd, 1925, U.S.S. Shenandoah crashed into the country near Caldwell, Ohio, killing 14 of the 43 souls aboard. U.S.S. Shenandoah with Naval support ship U.S.S Pakota in 1925. The crash of ZR-1 led to several changes in LTA design, most notably a shortening of the extremely elongated, “cigar” shape. Helium remained the favored lifting element – the alternative of hydrogen, used by nearly all other LTAs around the world, was deemed too flammable. The Navy continued its LTA program due in large part to the advocacy of Admiral William A. Moffett, appointed by President Harding as the first Chief of the Naval Bureau of Aeronautics in 1921. The other mid-decade LTA, U.S.S. Los Angeles, was entirely built in Germany by Zeppelin and traversed across the Atlantic to the United States in 1924, again under Treaty of Versailles provisions, although this time the airship avoided any attempts at sabotage. The success of the two transatlantic collaborations led to the creation of the joint Goodyear-Zeppelin Corporation. Although the Navy commissioned Los Angeles as ZR-3 in 1924, the loss of Shenandoah the following year led to the grounding of the new LTA, its principle uses becoming experimental research and training. Los Angeles continued in this function until it was disassembled in 1939, having gained the distinction of the nation’s longest-serving rigid airship. Every other airship met an unfortunate end. Advances in Heavier Than Air (HTA) airplanes during the inter-war years essentially replaced LTAs in the role of high altitude bomber. 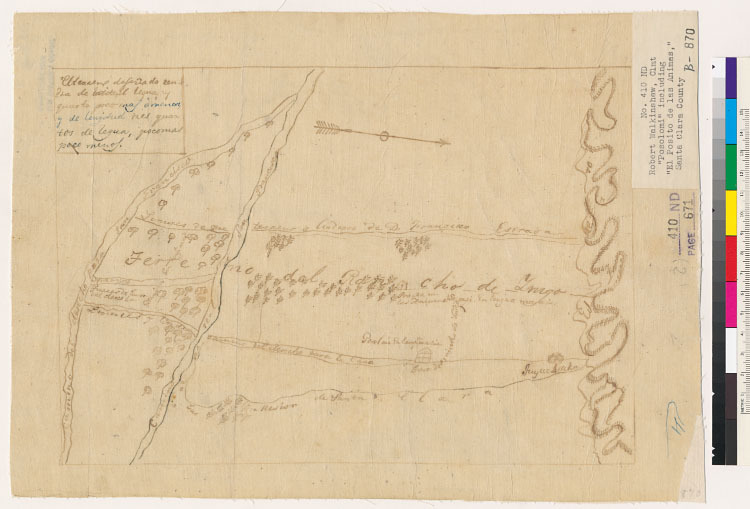 However, Admiral Moffett and the Navy were impressed by Shenandoah’s performance as a maritime reconnaissance unit in the Scouting Fleet. The experience of joint operations with the fleet highlighted the airship’s particular advantages: firstly, LTAs were capable of long duration voyages and could effectively move at pace with the fleet below. From their altitude of 20,000 feet the airships possessed an expansive view in all directions, and could essentially hover in place to provide continuous surveillance of an area. Although briefly allies during the First World War, the War Department (the predecessor to the Department of Defense) generally believed that Japan would be the most likely adversary for 20th century conflict, and its War Plan Orange became the most-studied scheme for strategic planning. Hostilities between the two nations stemmed from America’s seizure of the Philippines in the Spanish-American War of 1898. The US presence there threatened the Japanese plans for expanding its sphere of influence over its East Asian neighbors to secure their resources, deemed necessary for Japan’s growing population and industrial sector. Following the First World War, Japan began to execute its imperial ambitions in Korea, Manchuria, and eventually China proper. As would ultimately occur, the United States anticipated that the Japanese might attempt to seize the Philippines, robbing the US of its forward base in the Western Pacific. If the Japanese succeeded in this conquest, the US Navy would be pushed back to the Eastern Pacific and American influence over East Asia would be extremely restricted. This concern informed the American decision to annex the Hawaiian Islands in 1898, providing a forward base of operations in the mid-Pacific and a buffer to the continental United States. This theoretical war with the Japanese would be largely a Naval conflict, and Admiral Moffett and his colleagues were keen to establish a force that could effectively command broad swaths of the vast Pacific Ocean. Early 20th century scheme for War Plan Orange. In 1929 Admiral Moffett led a Site Selection Committee to determine a favorable location to base LTAs for operation with the Pacific Fleet. At the time there were only two large airship hangers in the United States, at the Goodyear factory in Akron, Ohio, and another at Lakehurst, New Jersey. Thus, a West Coast base was necessary if War Plan Orange was to include LTAs. Among 29 possible sites on the West Coast, the Site Selection Committee eventually settled on two final candidates. The first site was situated near the Pacific Fleet base in San Diego, at what is now Miramar Marine Corps Air Station just northeast of the city. This is an advantageous location primarily because of its proximity to Naval Base San Diego, allowing for effective fleet coordination. In addition, what is now Miramar is a good candidate for a naval aviation base because it’s very near the sea but set slightly inland behind a hill, especially necessary for the basing of fragile airships. The other final candidate was Rancho de Ynigo on the southern San Francisco peninsula, straddling the border of Mountain View and Sunnyvale. Although the titular mountains afforded the protection necessary for LTA basing, the consortium representing the Bay Area bid referred to the site as Naval Air Station (NAS) “Sunnyvale”, because the name “Mountain View” evoked a dangerous environment for LTAs. The consortium raised $470,000 and bought Rancho de Ynigo’s in advance of their proposal, thus calling themselves the “Landholder’s Commission”. The Commission was formed by the counties of San Mateo, Santa Clara, San Francisco and Alameda, and the major proponents were San Francisco Mayor James “Sunny Jim” Rolph and real estate broker Lauren Whipple. In 1930 Admiral Moffett and the Navy selected Ynigo’s Ranch as the base for LTAs for several reasons. Firstly, the Bay Area is more centrally located on the West Coast than San Diego. Secondly, the War Department believed that the surrounding Bay Area communities might benefit more from the establishment of a high-tech operation in the tough economic times of the early Depression. On December 12, 1930, House Representative Joseph Free of San Jose sponsored the bill that accepted the site. In February 1931 President Herbert Hoover signed that bill, and in the summer of 1931 Congress appropriated $5 million for the construction of Naval Air Station Sunnyvale, with $2.25 million allocated for Hanger One, to house an airship. Nerd Nite SF was a HUGE Success!